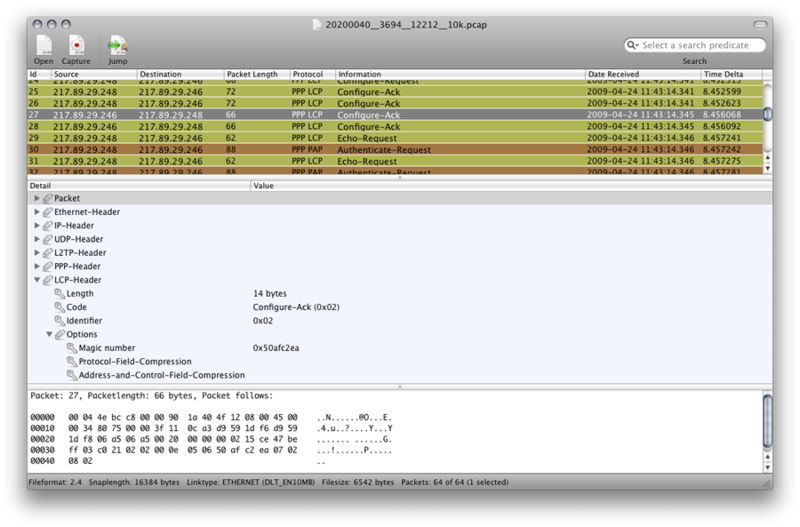 Cocoa Packet Analyzer is a native Mac OS X implementation of a network protocol analyzer and packet sniffer. CPA supports the industry-standard PCAP packet capture format for reading, capturing and writing packet trace files. 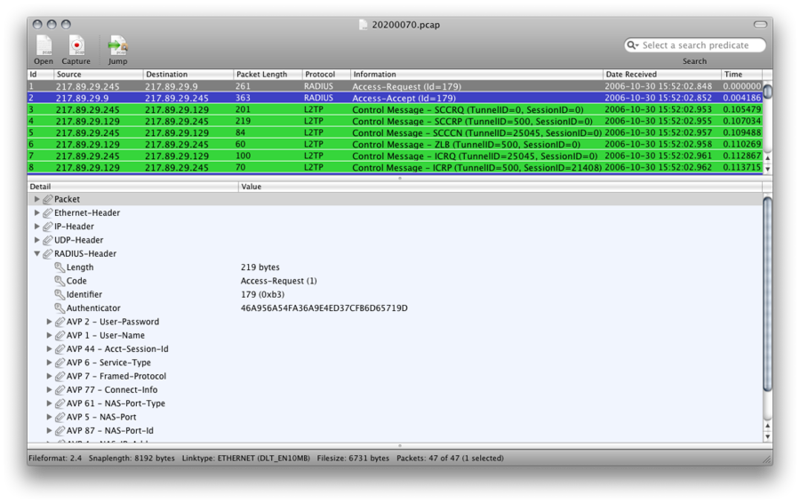 Packet capturing (NOT available for the Mac App Store version!). Analyze, display and filter packet trace files. 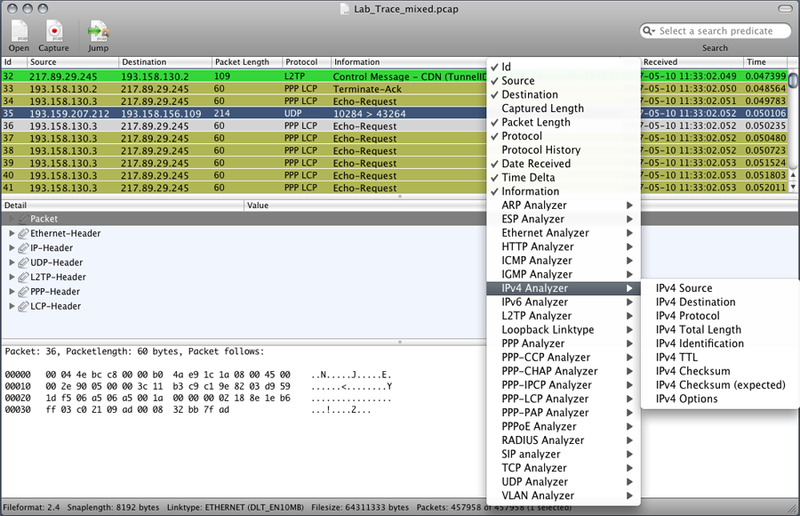 Supports PCAP packet capture format. 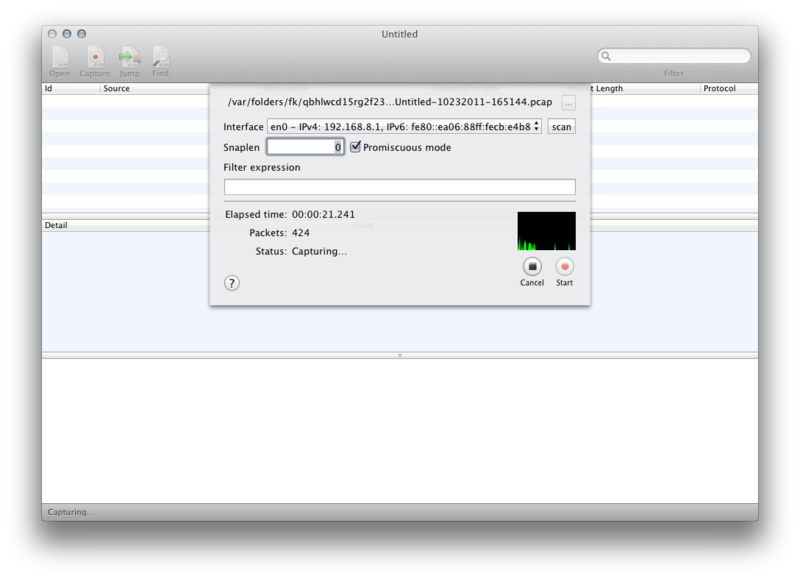 QuickLook plugin to get an overview already in Finder. 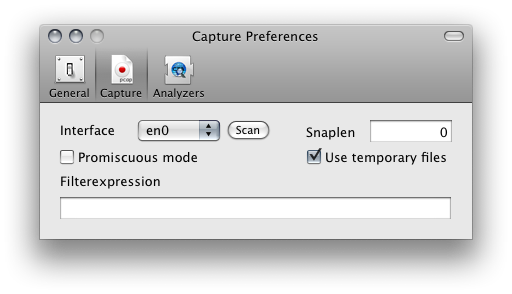 CPA supports the Cocoa bundles technology for creating analyzer plugins. 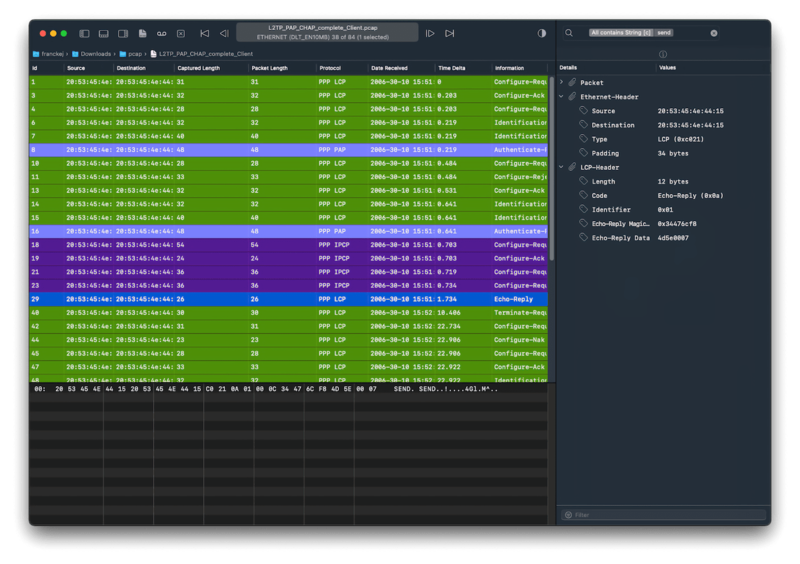 Please see the PlugIns Page for third party analyzer plugins and more informations! This Software is far away from being perfect - there maybe all kinds of errors. If you find bugs or have something else to say about it: please drop me a note! © 2007-2018 tastycocoabytes.com. All rights reserved.